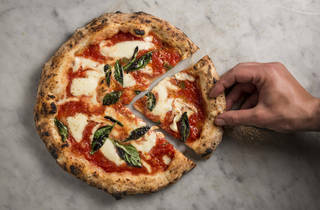 This isn’t just a pizza – it’s an edible catwalk, bubbling with molten mozzarella cheese and slightly smoky from the 90-second blast in the 485 degrees celsius domed wood-fired oven. 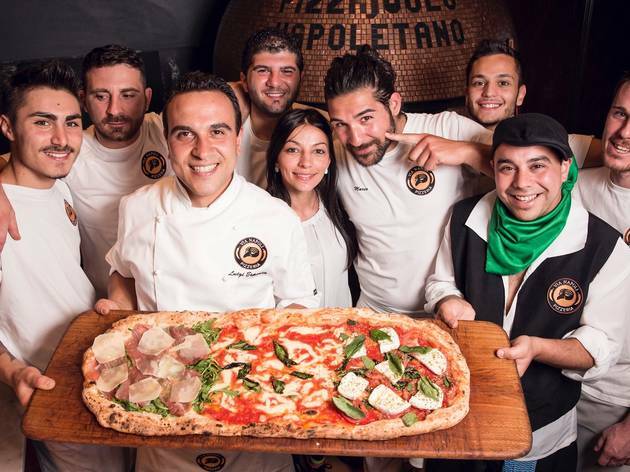 Luigi Esposito, a third-generation pizzaioli – or pizza maker – arrived in Sydney four years ago and opened Via Napoli in November last year. 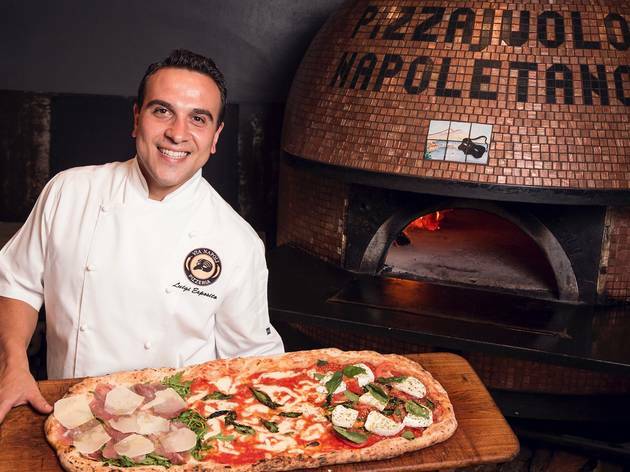 His Naples-style pizzeria is all about keeping to tradition, using Neapolitan caputo flour for the dough, San Marzano tomatoes for the sauce and imported buffalo mozzarella and fior di latte mozzarella for the topping. 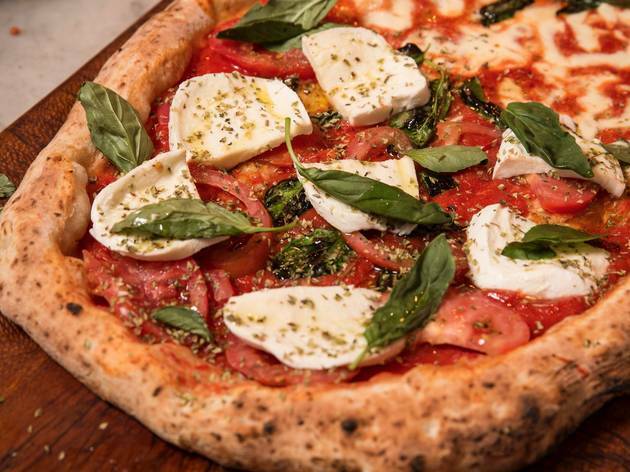 It’s happily chaotic no matter when you go, filled with couples, families and hungry pizza-loving blokes perched around tables that line the foothpath. 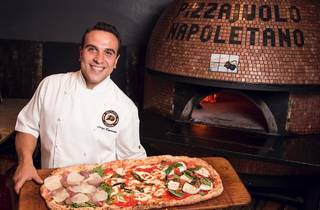 Service can be somewhat arbitrary, but it all seems part of the experience, along with genuinely thick Italian accents from waitstaff. 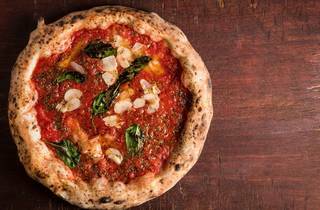 There are 18 different pizza toppings on the menu – don’t even bother looking for ham and pineapple – including seven vegetarian options. 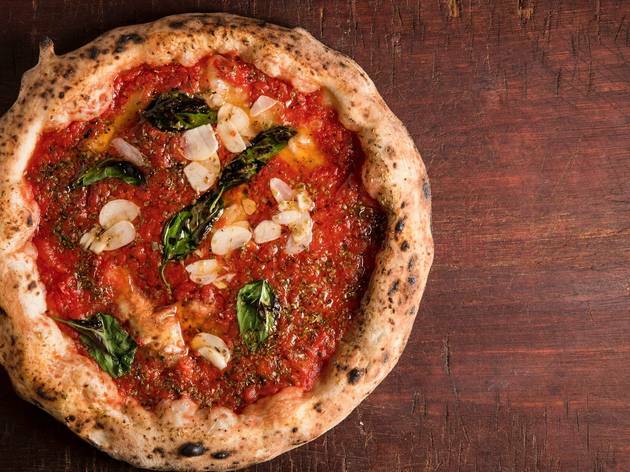 The Siciliana is a crowd favourite: thin slices of charred eggplant embedded in gooey mozzarella and a rich tomato sauce. 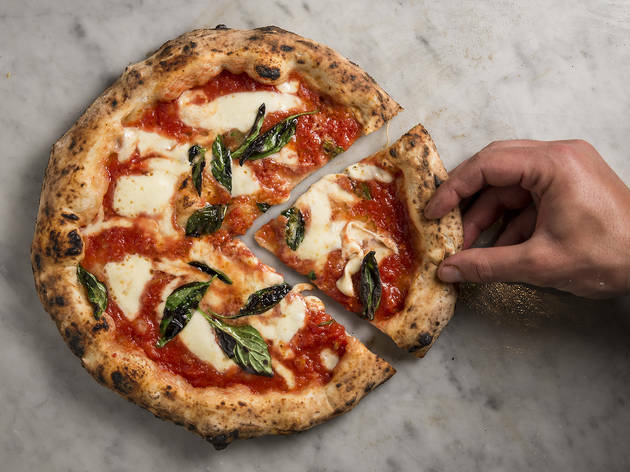 Purists will stick with the Margherita (tomato, buffalo mozzarella, basil and olive oil); gluttons will head straight for the quattro formaggi cheesefest –mozzarella, gorgonzola, pecorino and parmigiano all melted together in a fist-pumping triumph for lactose lovers. But it’s the salsiccia e cime di rapa that is the winner of the day: nubbins of pork sausage scattered with florets of broccoli rabe that are mesmerisingly bitter. 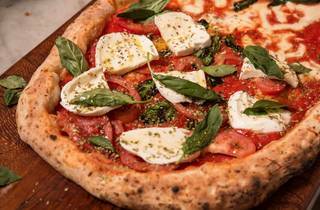 You can choose up to three toppings on the one-metre pizza ($40-$60). 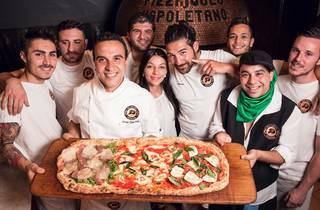 If you haven’t brought your local football team to eat with you, the 13-inch round ($16-$20) and half-metre ($25-$40) pizzas provide more modest portions. Mix things up with fried polenta ($15) – crunchy planks of gold that are even better dipped into gorgonzola sauce – or scamorza al forno ($12) – smoked mozzarella melted in the woodfired oven draped over with shavings of speck. Check out the smallgoods fridge too. Staff will assemble your choice of charcuterie, including salamis, prosciutto and melt-in-the-mouth whispers of lardo.